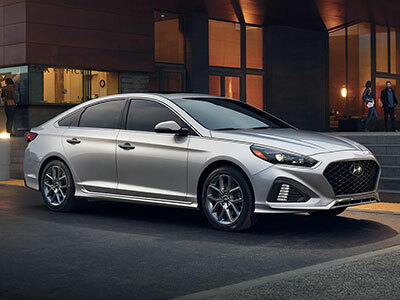 With the Sonata and the Accord, you're looking at the typically sedate midsize sedan segment, so neither of these models will have the style of a luxury brand. Despite that, desirability is still important and a major factor in any buying decision. Both cars have been recently redesigned, and both are better for it. Neither of the pair is exactly drop-dead gorgeous, but they are both very appealing in their own ways. The Accord is now a little sportier and edgier than it ever has been before, and the Sonata has cast off its somewhat dowdy previous look to become something altogether more interesting, likeable and upscale. They both have their desirability issues though. Regardless of how good and how attractive it is, some people still (wrongly) see Hyundai as the cheap-and-cheerful brand is was a decade or so ago, while the Honda Accord still has to shrug off the perception of being from a brand mostly favored by older buyers, so this round has to be a tie. Once again, there's very little difference between these two when it comes to interior space, and they both put the emphasis on different areas. There's almost four inches of extra leg room for passengers in the back of the Honda, but there's more room for those sitting in the front of the Hyundai Sonata. Overall, there's 106.1 cu.-ft. of passenger volume in the Sonata and 105.6 cu.-ft. in the Accord, so this is a win, albeit a narrow one, for the Hyundai Sonata. A slightly sloping roofline means getting in and out of the back of the Sonata isn't as easy as it is with the Accord. The Accord's large rear doors and extra rear passenger leg room also give that back seat an edge. At the entry level the Honda is probably a little more comfortable and a little more upscale than the Hyundai. However, you can go up quite a few trim levels in the Sonata range before you find yourself paying as much as you will be parting with for an entry level Accord. So, when you compare models of a similar price, you'll get a good deal more comfort for your money with the Hyundai. Honda, particularly with the Accord, has long had an enviable reputation for safety and this new model is no exception. The Accord earned a Top Safety Pick rating from the IIHS. Hyundai doesn't have the same reputation for safety that Honda does, but the Sonata is actually better rated for safety than the Honda. The IIHs gives the Hyundai Top Safety Pick+ status while the Accord is just a Top Safety Pick. Both cars get five stars from the NHTSA, but that still hands another win to the Sonata. It would be easy to just go with the reputation and sales record of the Accord and assume Honda offers the better car here, but it's not that clear cut when we look at the details. There's no doubt the Honda Accord is an exceptionally good car, but give the 2018 Hyundai Sonata a closer look and you'll see it's at least as good in most areas and better than the Honda in some, especially when you look at models costing the same amount of money.